Combine all ingredients and mix until well-blended. Refrigerate at least one hour to allow the flavors to combine. Gently form ground beef into eight 2-inch patties. Sprinkle both sides of burger patties liberally with salt and pepper. Grill burgers until they reach an internal temperature of 160°F. 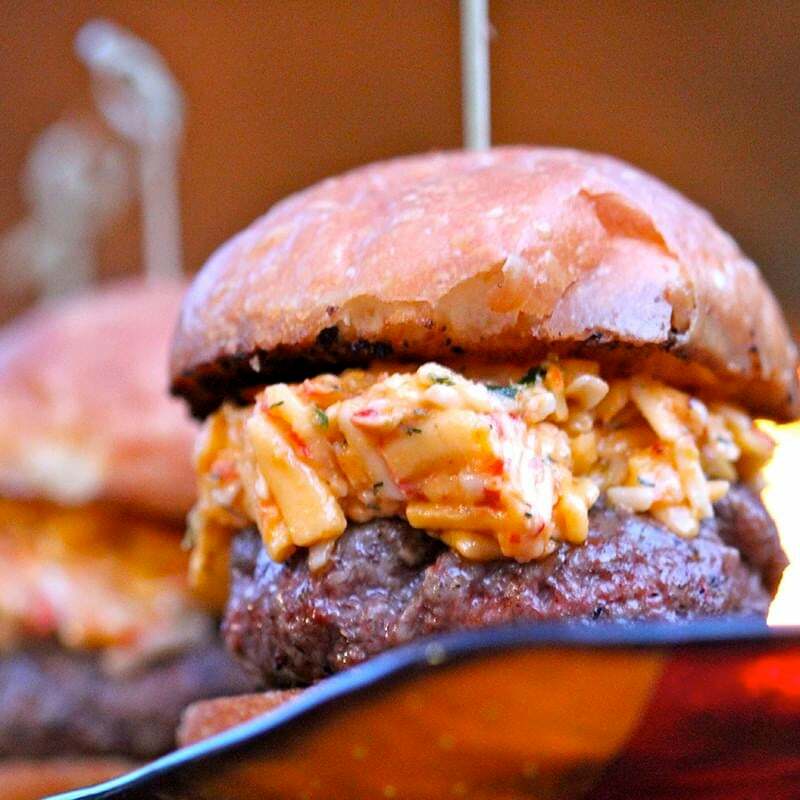 Place burgers on the bottom buns, top each with approximately 2 tablespoons jalapeño-pimento cheese. Add top bun and serve immediately.